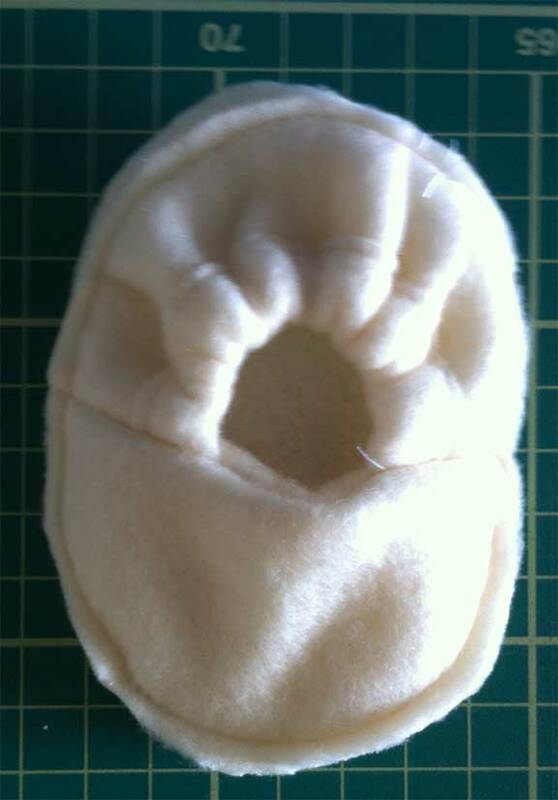 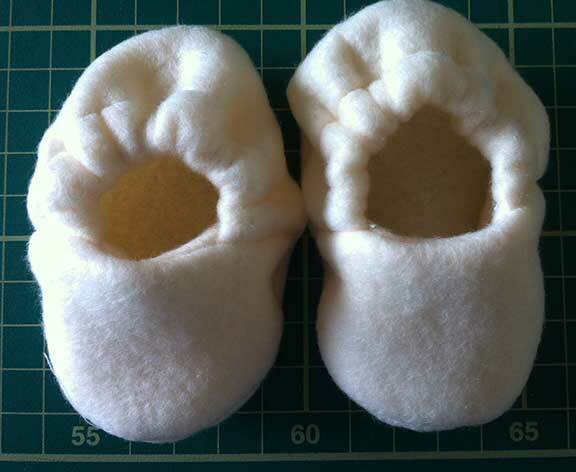 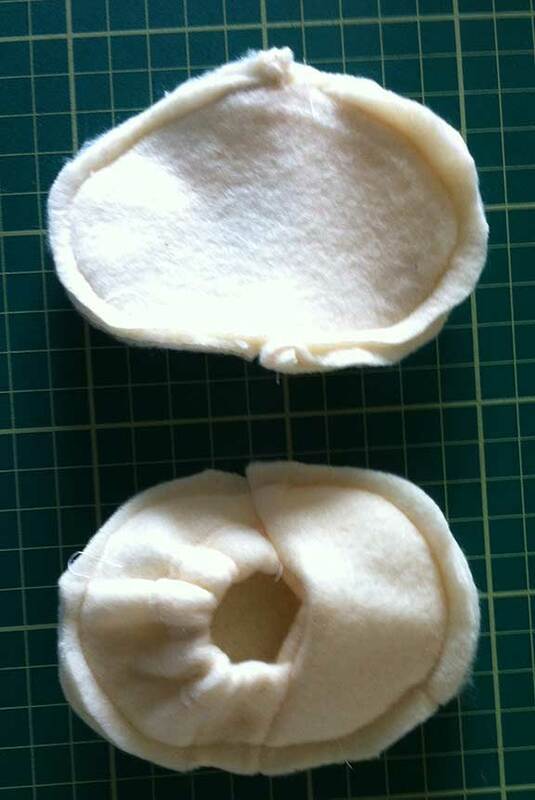 As promised I’m going to show you how to make plush baby booties like these, and the ones in an earlier blog post “Here’s one I made earlier.” I used fleece but you can use any fabric or trim. These are small enough that it wouldn’t take long to sew them by hand if you don’t have a machine. 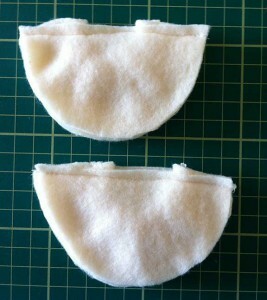 The pattern is for 3mths but I’ll explain how to make them smaller later in the tutorial. 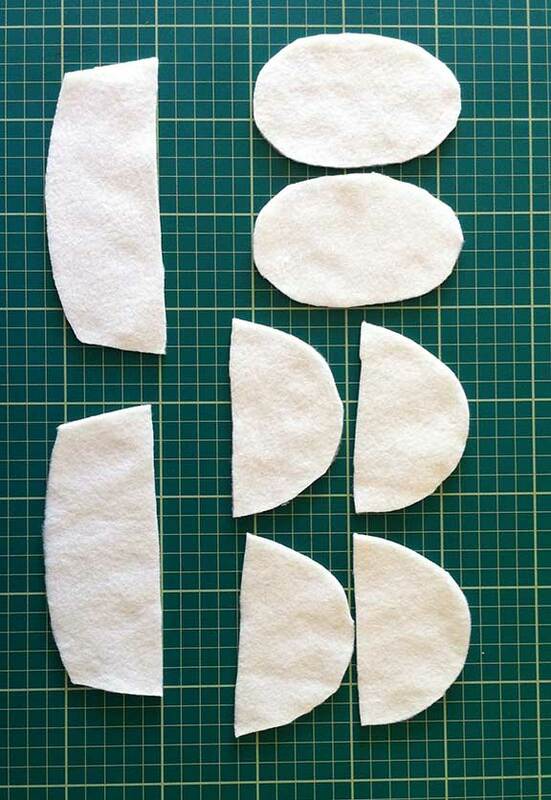 Cut out the pattern pieces from the paper. 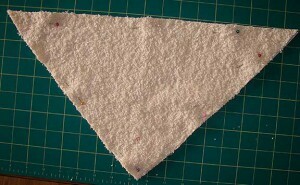 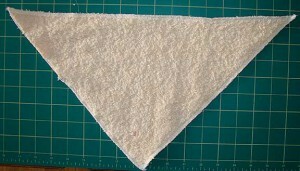 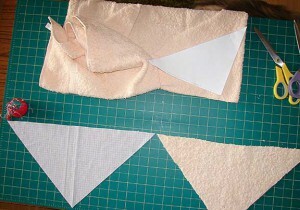 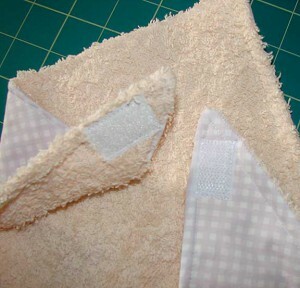 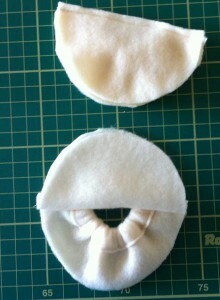 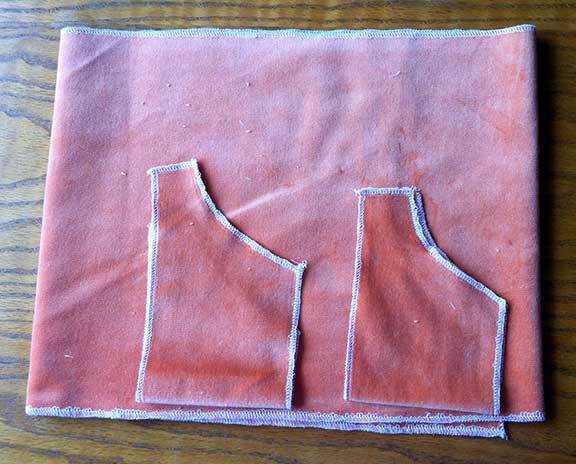 Fold the fleece (it doesn’t matter which way) and pin the pattern pieces to it. 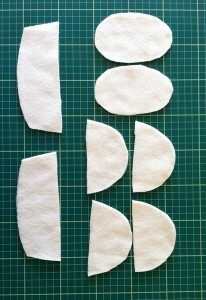 Then cut out the pieces remembering to cut 4 for the upper. 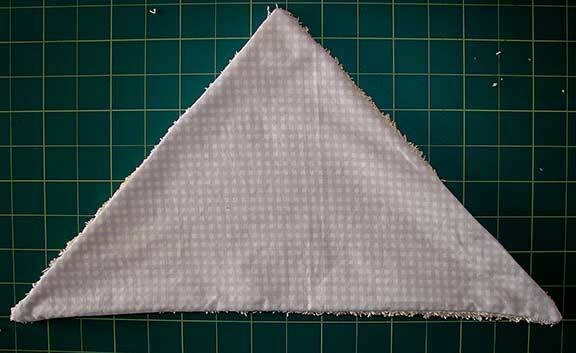 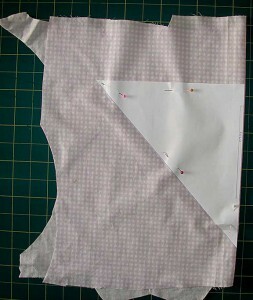 Take the 2 “back and side” pieces and stitch a hem along the straight edge wide enough for the elastic. 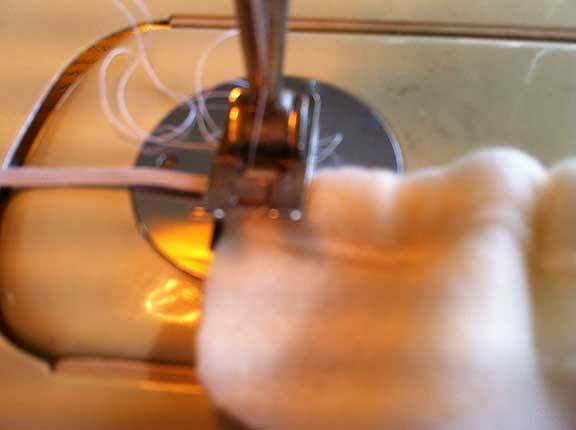 Thread the elastic through the hem using a darning needle with a large eye. 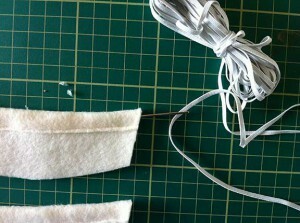 Hold onto both elastic ends and pull to gather. To secure the elastic in place stitch back and forward over it. 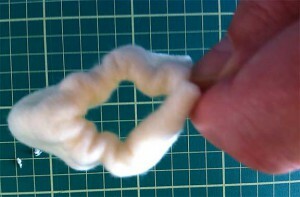 Tidy up the ends and you’ll be left with 2 pieces like this. 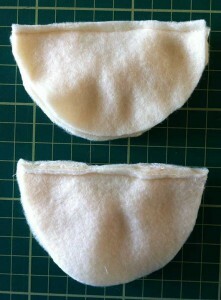 Now, this is the bit that’s tricky to explain hence the extra pics! 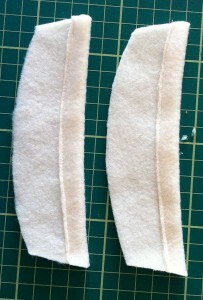 Take 2 of the uppers and sandwich the elasticated pieces between along the straight edge. 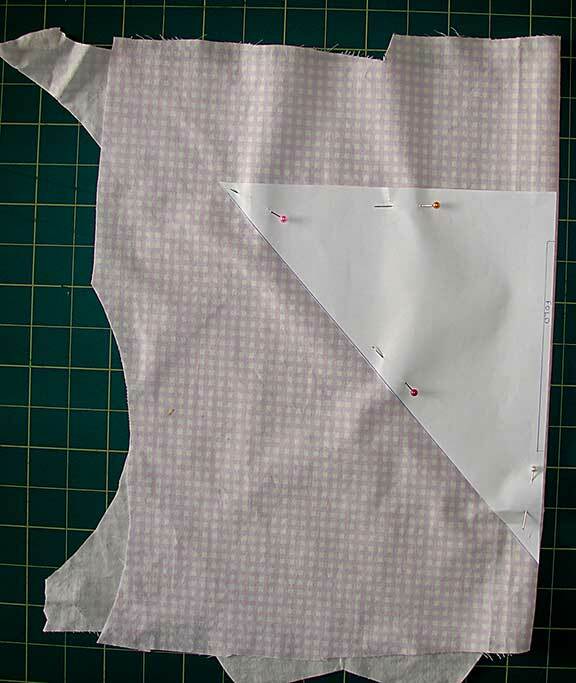 Stitch along the straight edge. 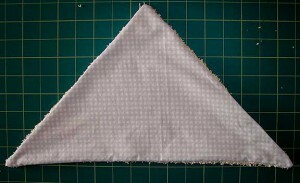 Flip the back/side over and mark the centre. 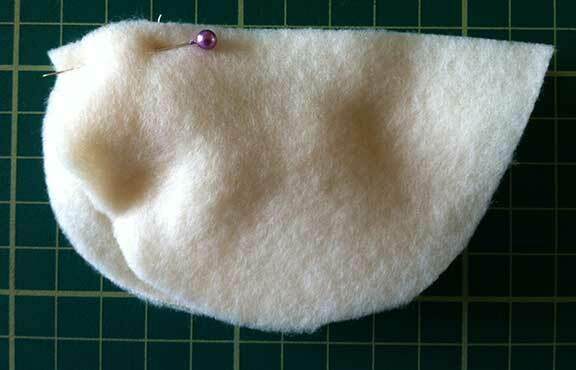 Line up the centre of the soles to the centre of the uppers, pin and stitch. 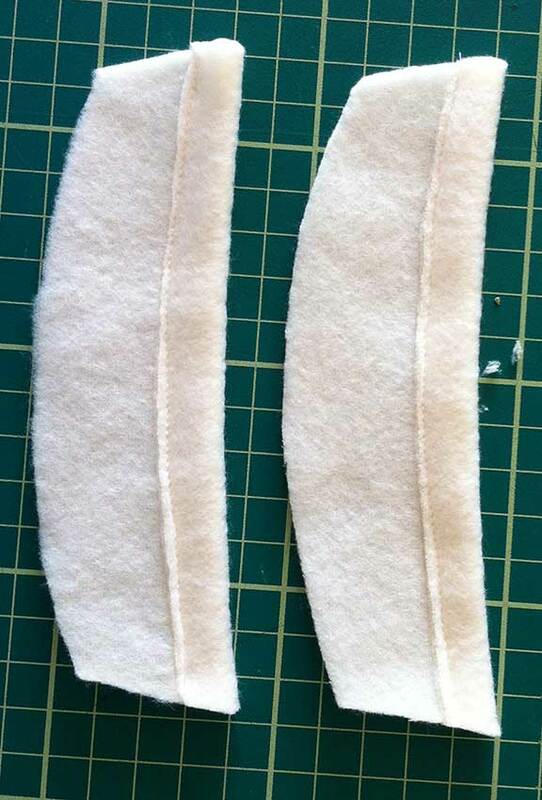 This is where you can make them smaller by sewing the seam further in. 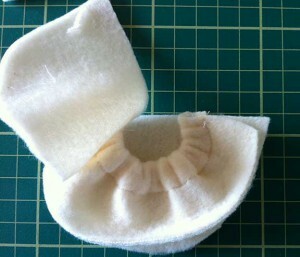 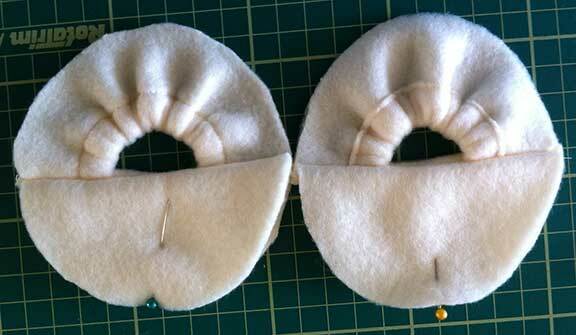 All that’s left is to add the trim, you can use anything here, just make sure it’s well secured on the bootie! 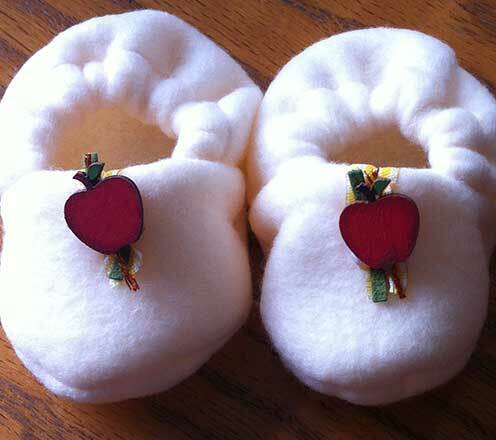 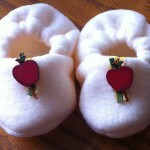 One pair of finished plush baby booties! 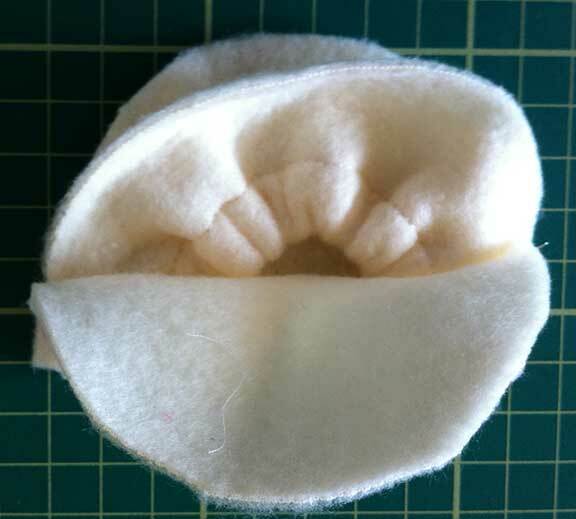 Please contact me if there’s anything about this tutorial you need help with. 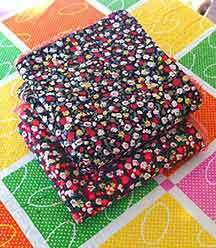 A few weeks ago I picked up some bedding at a charity shop, bargain at £1.99, loads of fabric in there with very little unpicking to do. 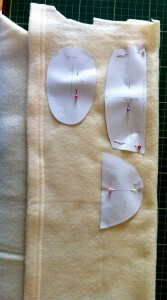 I’ll be able to get more than 1 outfit out of the fabric depending on what I make. 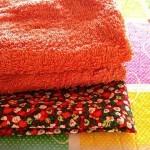 I thought I could make an upcycled baby outfit for the summer with this bedding. I used Burda kids pattern 9437 for the trousers and suntop and McCalls M6575 for the hat, not beginners patterns but easy to do. 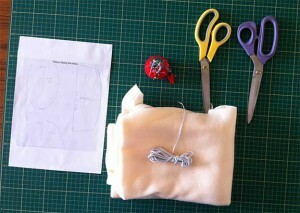 My new overlocker sewing machine (review here) makes things much simpler and neater! 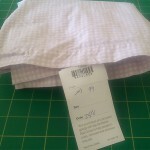 The Burda patterns were on half price sale so another bargain there! 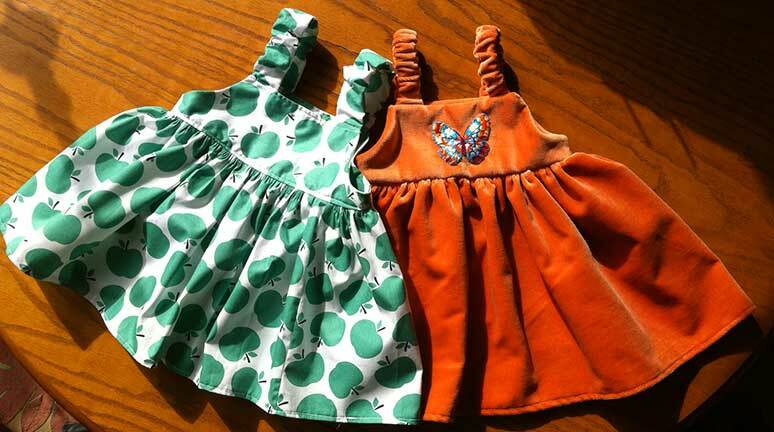 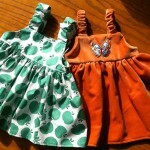 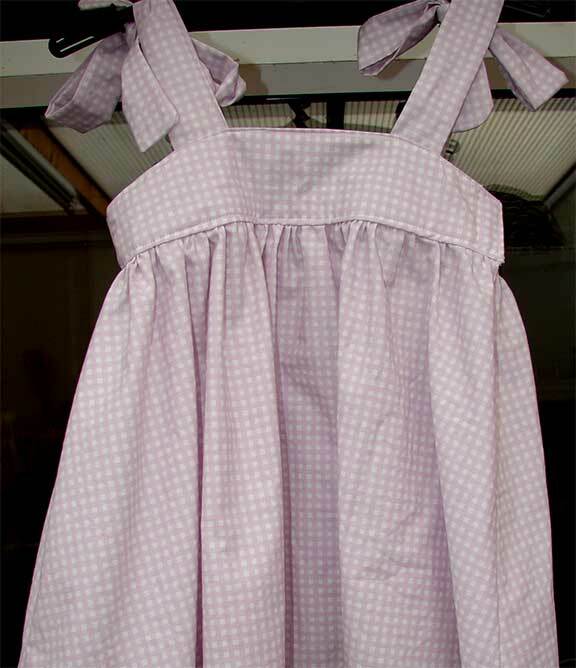 The Mcalls pattern had so many different options for both boys and girls. 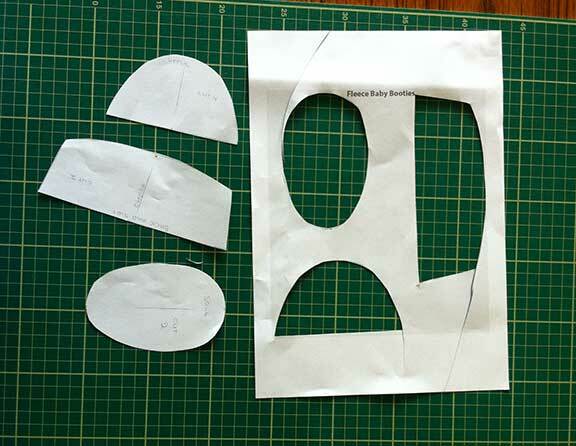 The Burda pattern could be adapted quite easily as it’s a simple shape. 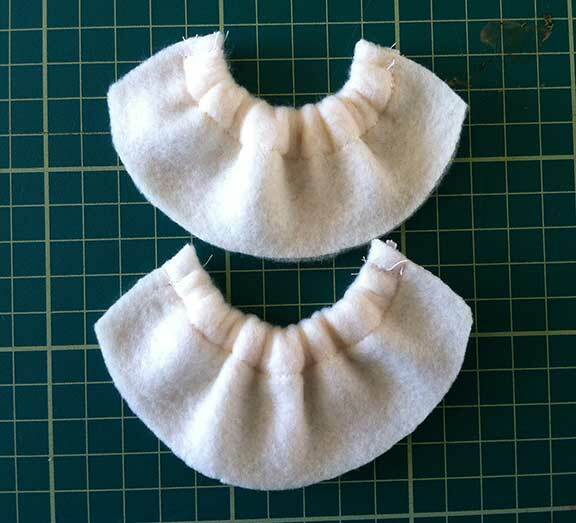 The BurdaStyle Website is a great resource for sewers from beginners to advanced and they have a special offer on seminars at the moment, 30% off with the code NSM30, BARGAIN! 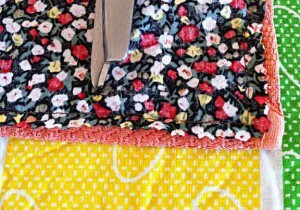 The whole outfit took about 8hrs total over a few days, once I get used to my new Brother overlocker sewing machine (did I mention I have a new overlocker!?) 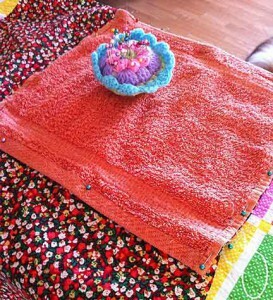 this will speed up. 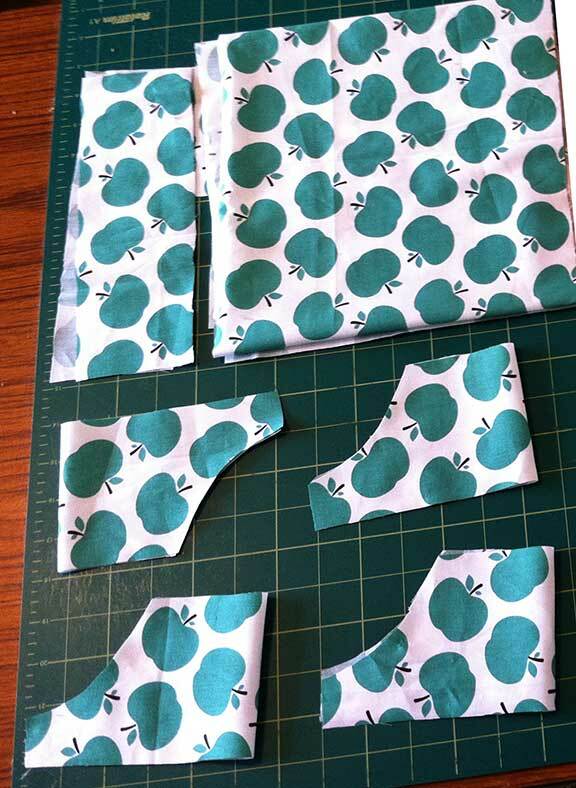 The pattern was fairly easy to follow but if you’re just starting to use patterns check out my guide on how to read patterns. 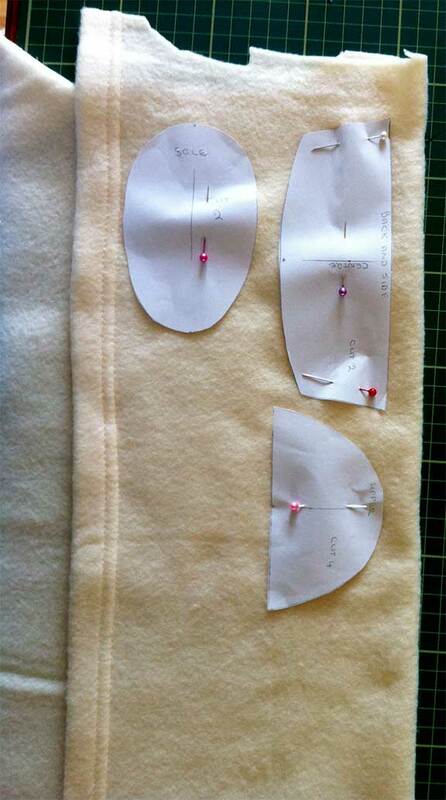 I did the 18mths size but I’ve noticed the Burda patterns make up quite large so I reckon it’s more likely to fit a 2 yr old. 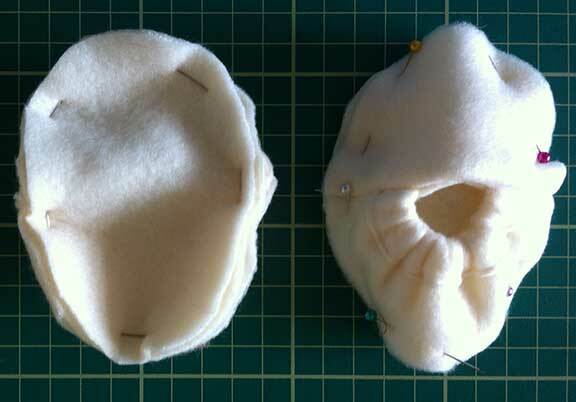 The hat was quite fiddly to make, sewing the hat rim to the crown was trickier than I thought. I did managed to achieve it without gettting any puckers though. 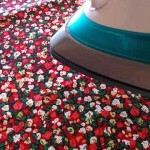 There was nothing in the instructions about the best way to do this so I Googled for tips. I think I’ll baste and sew next time, rather than go straight from pinning to sewing. 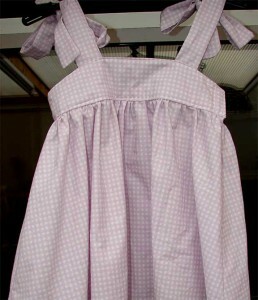 I like the way the dress ties at the top, makes it a great dress for on the beach. 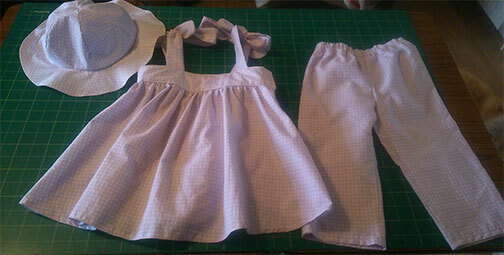 I don’t have a toddler to model the outfit yet so the photos don’t do it justice, it really is quite pretty! So there it is, how to make an upcycled baby outfit using charity shop bedding, best of all it only cost pennies to make!